In 1997 Cuba had 6,686,700 hectares of agricultural land, of which 3,701,400 hectares were cultivated. However, the cultivated land suffers from various degrees of soil degradation (see Topography and Drainage, ch. 2). In 1997 the state directly controlled 24.4 percent of the agricultural land and the nonstate sector, 75.6 percent. The nonstate sector includes the newly formed UBPCs, the former state farms converted to cooperatives. The UBPCs alone accounted for 47.0 percent of cultivated land. In addition to sugarcane, state enterprises and UBPCs specialize in the production of rice, citrus, coffee, and tobacco, as well as livestock. In addition to UBPCs, nonstate actors include Agricultural-Livestock Cooperatives (Cooperativas de Produccion Agropecuaria-CPA), Credit and Services Cooperatives (Cooperativas de Creditos y Servicios-CCS), and individual farmers. A large portion of the nation's industrial capacity and agricultural lands are devoted to sugar production. During the 1975-87 period, the sugar industry was the largest recipient of investment resources, averaging about 20 percent of manufacturing investment. Similarly, investments in sugar agriculture took about one-third of overall agricultural investment during this same period. By the mid-1990s, Cuba's sugar industrial complex comprised 156 sugar mills; seventeen refineries; more than fifty plants producing derivatives, such as pulp and paper made from bagasse (that is, stalks and leaves that remain after sugarcane is ground for sugar production), bagasse boards, ethanol, rum, yeast, and wax; electric-power generation plants; mechanical shops that produce parts for the sugar industrial facilities and manage their maintenance; an extensive internal transportation network; and eight export shipping terminals capable of handling sugar in bulk. Although many of the sugar mills date from the 1920s, most of them have been thoroughly overhauled. A large sugar industry such as Cuba's requires prodigious volumes of cane as inputs into the industrial process. Assuming an industrial yield of 11 percent-roughly the average yield obtained in Cuba in 1950-80-means that the agricultural sector must deliver 100 tons of sugarcane to mills to produce eleven tons of raw sugar. The timely delivery of such large amounts of sugarcane to mills requires very close coordination between agricultural and industrial sectors: the sugarcane must both be ground at a time when its sucrose content is highest and enter the mills in a steady flow to avoid costly (in terms of energy consumption) shutdowns. Socialist Cuba has experimented with different forms of organization to manage the sugar process. Three of these organizational methods have included totally separate agricultural and industrial enterprises controlled by different ministries, joint management of agricultural and industrial activities under a single Ministry of the Sugar Industry, and agroindustrial complexes, where both sets of activities are coordinated by one management team. However, these organizational changes have not been able to resolve the agricultural bottlenecks that have plagued the Cuban sugar industry. In 1989 nearly 2.0 million hectares were devoted to sugarcane cultivation, with the state sector accounting for more than 1.9 million hectares and the nonstate sector for less than 100,000 hectares. That is, 53 percent of cultivated land in that year was devoted to sugarcane production. It is also clear from the above data that sugarcane production was skewed toward the state sector, with the nonstate sector controlling less than 5 percent of sugarcane lands. In 1997, 1.8 million hectares, or 48 percent of cultivated land, was devoted to sugarcane production. Implementation of the 1959 Agrarian Reform Law and subsequent confiscatory laws with respect to the sugar industry resulted in the expropriation of large amounts of land controlled by sugar mills. These lands were first organized as cooperatives and in 1962 converted into state farms. In state farms, agricultural workers were essentially wage earners, with no involvement in management decisions. Sugarcane state farms were unwieldy and notorious for their low productivity and failure to meet production targets. In part to try to improve their management and performance, state farms were broken up and converted into smaller UBPCs in September 1993. Cuba has made significant gains in harvesting its sugarcane crop through mechanical means. Cutting and loading sugarcane by hand is exhausting and dangerous work. Cuba's socialist government has made a sustained effort to mechanize these tasks and has been largely successful, thereby freeing a significant number of workers to participate in other economic activities. By the end of the 1980s, about 70 percent of harvested sugarcane was cut by mechanical harvesters, and almost 100 percent was loaded mechanically (generally using front loaders). Although mechanization of the harvest has eliminated the problem of shortages of cane cutters, it has created new problems, such as increased extraneous matter entering sugar mills (which lowers yield and often results in equipment breakdowns) and higher demand for fuel and spare parts for the equipment. Consistent with its plan to expand sugar production to about 11 million tons per year by 1990 and 13 to 14 million tons per year by 2000, in the 1980s Cuba began to build new sugar grinding capacity. At least seven new mills (of a planned fifteen) were built, each capable of producing about 100,000 tons of sugar in a 150-day zajra (harvest). However, production fell behind schedule during the late 1980s, averaging about 7.5 million tons per annum during 1985-89. Then the crisis of the 1990s took a heavier toll on the industry. At first, production fell gradually, from 8.1 million tons in 1989 to 8.0 in 1990, 7.6 in 1991, and 7.0 in 1992, but then fell precipitously to 4.1 in 1993, 3.9 in 1994, and 3.3 in 1995 (the lowest output in fifty years). Production recovered somewhat in 1996, when 4.4 million tons were produced, but slumped again to 4.2 million tons in 1997 and 3.2 million tons in 1998 (see table 9, Appendix). In addition to sugarcane, Cuba produces a broad range of other agricultural products, among them roots and tubers, vegetables, grains, beans, citrus, plantain and bananas, tropical fruits, coffee, tobacco, livestock, and forest products. No statistics on the relative importance of each of these products (in terms of value) within the nonsugar agricultural sector are available. Other important segments of the nonsugar agriculture sector in terms of land area devoted to cultivation in 1997 are rice (6.1 percent of total area); pastures (9.9 percent); coffee (3.8 percent); beans, bananas, and plantains (3.3 percent); and citrus (2.5 percent). Most of the output of the nonsugar agricultural sector is consumed domestically, but some products-for example, tobacco and citrus-are significant generators of export revenue. The cattle-raising industry, seriously affected by the collapse of trade with the former Soviet bloc, has suffered from prolonged neglect. Its problems began after 1959 when government experts, relying on genetics and artificial insemination, introduced a radical change into the composition of the herd, which previously consisted primarily of Cebu and Criollo breeds. The new breeds produce more milk but are less resistant to the tropical climate and require greater attention and expenditures. By the beginning of the 1970s, the national herd declined by one-quarter, and by 1997 there were only 0.42 head of cattle per capita, close to the lowest figure on record in the twentieth century. Cuba's agriculture relies heavily on the use of imported inputs and of mechanized equipment. Shortages of imported fertilizers, herbicides, pesticides, fuels, and spare parts for equipment have taken a heavy toll on agricultural production. Nonsugar producers have been seriously affected. Output of key agricultural products was lower in 1993 than in 1989: tubers by 17 percent, vegetables by 36 percent, grains by 61 percent, beans by 38 percent, citrus by 22 percent, eggs by 46 percent, and milk by 66 percent. At the same time that production slumped, sharp reductions in food imports gave rise to severe food shortages. The government responded by instituting an ambitious food production program that had as its objective securing increases in the output of staple foods and becoming self-sufficient in food production. Although the food program has failed to achieve most of its objectives, by 1997 food production had improved in nearly all categories over 1993, although production levels of many commodities remained below levels in 1989. To increase the domestic rice yield, the government in 1996, for the first time in decades, began to encourage the planting of small rice pads (known officially as "popular rice") by individual farms. This practice, which was widespread before 1959, was almost eradicated in subsequent years. 57.9 percent of the papayas, and 87.7 percent of the green peppers procured by the state, suggesting that the nonstate sector specialized in fruits and vegetables. The breakup of state farms and the creation of the UBPCs in September 1993 have expanded considerably the role of the nonstate agricultural sector. By 1997 the 1,567 UBPCs controlled 3 million hectares of land (37 percent of Cuba's state and private land not dedicated to sugarcane) and employed almost 122,000 workers, 114,000 of whom are members and the rest contracted laborers. In 1986, the most recent year for which these data are available, Cuba's manufacturing sector consisted of 827 enterprises, employing 726,000 workers. The size of the enterprises varied significantly, with twenty-six having more than 4,000 workers each, nineteen between 3,001 and 4,000 workers, ninety-three between 2,001 and 3,000 workers, 190 between 1,001 and 2,000 workers, and 499 up to 1,000 workers. Industries with the largest number of enterprises manufactured nonelectrical machinery (150 enterprises), sugar (148 enterprises), and foodstuffs (145 enterprises). The majority (nineteen out of twenty-six) of the largest manufacturing plants, that is, those employing more than 4,000 workers, were part of the sugar industry; other industries having plants with more than 4,000 workers were textiles (three), mining and nonferrous metallurgy (one), apparel (one), fishing (one), and beverages and tobacco (one). In addition to the sugar and nickel mining industries, the most significant contributors to national product in 1989 within the manufacturing sector were the following industries: beverages and tobacco, foodstuffs, nonelectrical machinery, chemical, electricity generation, and construction materials. Enterprises producing beverages and foodstuffs are under the control of the Ministry of Foodstuffs Industry. Among the most important products of this industry are dairy products, processed meats and fruits, beverages and liquors (including rum and beer), and bakery products. The nonelectrical machinery industry produces a range of outputs, from transportation equipment for the railroads to consumer products such as metal pots and pans; however, it is also heavily geared to supplying and servicing the sugar industry, including producing Soviet-designed KTP mechanical harvesters and equipment for sugar mills. The chemical industry specializes in the production of fertilizers and rubber and plastic products. Cement production dominates the construction materials industry. During the economic crisis, the manufacturing sector was affected severely. Over the 1989-93 period, production fell as follows: steel, down 69 percent; cotton yarn, 85 percent; textiles, 77 percent; pasta, 75 percent; lard, 99 percent; powdered milk, 75 percent; cement, 74 percent; crushed stone, 85 percent; and cement blocks, 74 percent. Although production of most manufactured products improved in the second half of the 1990s, production levels in 1998 of key manufactured products were below 1989 levels, with the exception of nickel, oxygen gas, canned meats, and soft drinks. Metal commodities produced in Cuba include chromite, cobalt, copper, crude steel, and nickel (see fig. 5). Other nonfuel industrial mineral products include cement, gypsum, lime, ammonia, salt, silica sand, and sulfur. Nickel is the most important metal to the Cuban economy and the export sector. In 1998 Cuba was the eighth leading producer of nickel in the world, producing about 4 percent of total primary nickel production. Cuba's nickel reserves, among the largest in the world, are concentrated in the northeastern region of the country, around the town of Moa in Holguin Province, and consist primarily of laterites in which nickel is mixed with other metals such as iron, chrome, and cobalt. The Moa-Baracoa massif is not only the site of the country'~ largest reserves of nickel and cobalt, but also of considerable deposits of chromite. In the 1990s, Cuba's nickel-processing industry consisted of three plants: the Comandante Rene Ramos Latour plant, located in Nicaro, which began operations in 1943 and produces nickel oxide; the Comandante Pedro Soto Alba plant, located in Moa Bay, which began operations in 1959 and produces nickel and cobalt sulfides; and the Comandante Ernesto "Che" Guevara plant, located in Punta Gorda, which began operations in 1988 and produces nickel oxide. Construction of a fourth plant at Las Camariocas, which was being carried out with financial assistance from the CMEA countries, has been suspended until new forms of foreign financing are found. As a result of the economic crisis of the 1990s, nickel production fell steadily from approximately 47,000 tons (mineral content) in 1989 to approximately 27,000 tons (mineral content) in 1994, or by 43 percent, mainly because of maintenance problems and energy shortages. Production bounced back in 1995, when nearly 43,000 tons (mineral content) were produced. A significant factor in the recovery of the nickel industry has been influxes of capital and technology and export markets provided by foreign investors. In 1994 Sherritt International, a Canadian company, entered into a fifty-fifty joint venture arrangement with Cuba's General Nickel Company (Compania General del Niquel). The joint venture agreement included mineral concessions; the operation of the nickel-production facility Comandante Pedro Soto Alba at Moa Bay and a nickel refinery in Fort Saskatchewan, Alberta, Canada, owned by Sherritt; and a joint enterprise to market the products produced by the joint venture. Other reported foreign investments in the nickel industry include a credit from a Dutch bank to modernize facilities and an agreement between the Western Mining Company of Australia and the Cuban Commercial Caribbean Nickel Company to assess and develop mineral deposits in the Pinares de Mayari area. Joint ventures with foreign investors have also been active in exploration and production of copper, silver, gold, and other minerals. Cuba's state mining agency, Geominera, has entered into joint venture agreements with a number of Canadian companies: Joutel Resources Limited, Republic Goldfields, Miramar Mining Corporation, Caribgold Resources, Homer Goldmines, and Macdonald Mines Exploration. 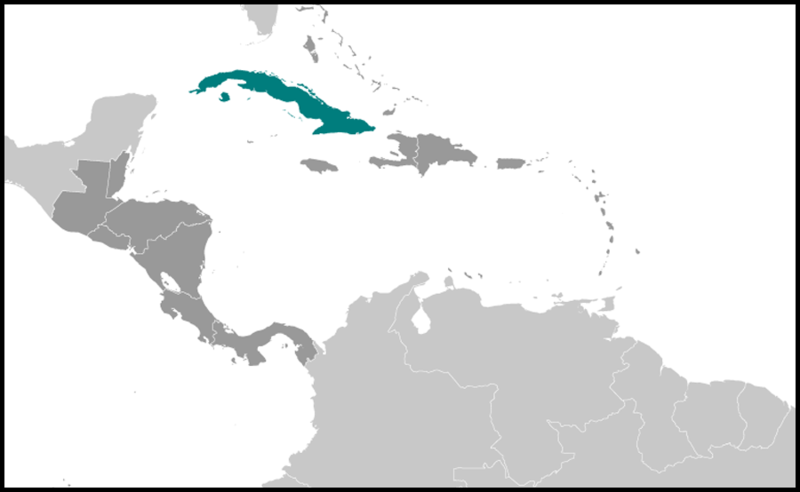 Cuba has granted concessions to the foreign companies to explore for silver, gold, and copper in specific areas of the country. The joint ventures have also taken over the exploitation of existing mining operations, injecting capital to purchase equipment and fund operating expenses. Cuba has traditionally relied on imports to meet its energy requirements. The island is not well endowed with energy resources: coal is not found in commercial quantities; hydroelectric resources are limited by rivers that have low heads, carry relatively small quantities of water, and are subject to uneven flow during the year; and oil and natural gas deposits discovered to date are woefully inadequate to meet demand. Biomass (in the form of bagasse) is an important energy source for the sugar industry. However, the use of bagasse by the economy at large is constrained by its bulkiness, its low caloric value, and its demand by the sugar industry and several factories, which use bagasse as a raw material for producing building and consumer products. In 1988 Cuba met 70 percent of its energy requirements with liquid fuels (crude oil, light oil products, and heavy oil products), about 29 percent with biomass, and the remaining 1 percent with other energy sources such as coal, coke, and hydroelectricity. In the 1990s, Cuba relied on oil to generate more than 80 percent of its electricity. Cuba's electricity generation industry had a combined generation capacity of 4.33 gigawatt hours in 1997 and 15.274 billion kilowatt hours in 1998. With the exception of several small hydroelectric plants with a combined capacity of 55.4 megawatt hours, the remaining power plants were fueled with oil, oil products, and natural gas. Cuba's electricity consumption in 1998 totaled 14.205 billion kilowatt hours. Cuba began an ambitious nuclear power program in the early 1980s, with the objective of meeting up to one-fifth of electricity demand through nuclear power. The first nuclear reactor, being built with technology and financial assistance from the Soviet Union at Juragua, on Cuba's southern coast, has been delayed because of lack of financial resources, and it is now questionable whether the project will ever be completed. Oil has been produced in Cuba commercially since 1915, but domestic production has traditionally provided only a small fraction of consumption. Domestic oil production's share of apparent consumption (domestic production plus imports minus exports) has been estimated at about 1 to 3 percent in the 1960s and 1970s and 6 to 9 percent in the 1980s. Despite this increase, domestically produced oil still accounted for less than one-fifth of the depressed oil consumption level of about 5 million tons in the first half of the 1990s. Apparent consumption of oil and oil products was in the range of 10 to 12 million tons per annum in the late 1980s. Domestically produced oil (mostly heavy crude) rose from 0.67 million tons in 1990 to nearly 1.7 million tons by 1998. Oil exploration (onshore and offshore) and production have been a priority in the 1990s, mainly through partnerships with foreign companies. In 1994 at least eleven foreign companies were involved in oil exploration and production in Cuban territory, both on land and offshore; eleven others were working in oil production services. Firms from Britain, France, Canada, Germany, and Sweden were operating eighteen of thirty-three oil fields in the nation. Almost 90 percent of Cuba's still limited oil production is concentrated in an extensive line of coastal territory running north of Havana and Matanzas provinces, and in the area between Sancti Spiritus and Ciego de Avila provinces. As a result of the 1992 reorganization of Cuba's petroleum industry, a new state enterprise, Cuba petroleum (Cubapetroleo-Cupet), was established, under the Ministry of Basic Industries, with responsibility for the entire petroleum sector: exploration, drilling, and refining and distribution. Another entity, Commercial Cupet (Comercial Cupet), is in charge of negotiating with foreign companies. Production partnership agreements appear to be risk contracts, where the foreign entity typically undertakes the investment risk and shares the oil that may be produced with the domestic partner. As a result of foreign participation, oil production has been one of the few economic activities not severely affected by the economic crisis. Crude oil production dipped from around 700,000 tons in 1989-90 to 527,000 tons in 1991, but recovered to 882,000 tons in 1992 and for the first time exceeded 1 million tons in 1994, when 1,107,600 tons were produced. Oil production was roughly 1.5 million tons in 1995-97 and 1.7 million tons in 1998. The Soviet Union was Cuba's primary source of energy (primarily oil and oil products) imports from 1960 to 1990. Domestic energy demand rose rapidly through the end of the 1980s, with imports from the Soviet Union increasing as well. In the 1960s, Cuba imported 4 to 6 million tons of Soviet oil and oil products per annum; in 1985-88 Cuban oil imports exceeded 13 million tons per annum. Not all of the imported Soviet oil was consumed domestically. During the 1980s, Cuba re-exported significant quantities of Soviet oil to the world market to generate convertible currencies; as many as 3.6 to 3.7 million tons of Soviet oil were re-exported in 1985-86. Oil imports from the Soviet Union were disrupted beginning in 1990. In August 1990, the Cuban government announced the imposition of mandatory energy conservation measures to address a 2-million-ton shortfall in Soviet deliveries of oil and oil products. The shift in pricing of Soviet (and subsequently Russian) oil exports to convertible currency forced Cuba to cut imports drastically. It is estimated that Cuba's oil and oil products imports in the second half of the 1990s are in the range of 5 to 7 million tons per annum; even with higher domestic oil output, domestic production was about 20 percent of apparent consumption. Cuba relies on three refineries-located in Cabaiguan, Havana, and Santiago de Cuba-to process domestic and imported crude oil into a range of derivatives demanded by Cuban industries, agriculture, the transportation sector, and consumers. A fourth refinery, at Cienfuegos, with a capacity of 3 million tons of crude per year, is still only partially completed. The others date from the 1950s and were expropriated in 1960 from the international oil companies (Esso, Texaco, and Royal-Dutch Shell) that operated on the island prior to the revolutionary takeover of 1959. In the late 1980s, Cuba completed an oil import facility at the port of Matanzas and a pipeline linking it with the new Cienfuegos refinery. A relatively small and densely populated country that relies heavily on foreign trade, Cuba has a well-developed transportation infrastructure. By 1997 Cuba had an estimated 60,858 kilometers of highways, including 29,820 kilometers of paved roads and 31,038 kilometers of unpaved roads. The country's railroads total 4,807 kilometers of standard gauge. The highways, railroads, and air and maritime transportation services provide access to almost every location on the island (see fig. 6). Cuba also has an infrastructure of ports, airports, and warehouses to support extensive foreign trade. For many years, the main highway was the Central Highway, mostly a two-lane highway running for 1,200 kilometers from Pinar del Rio in the west to Santiago de Cuba in the east. In the late 1970s, construction began on a new eight-lane National Expressway (commonly known as "Ocho Vias," or Eight Lanes), which now reportedly runs the length of Cuba, from Pinar del Rio in the west to Santiago de Cuba in the east. Private ownership of vehicles is very low. Passenger transportation within the island depends heavily on public buses and trucks. Cuba's stock of passenger cars and commercial vehicles in 1988 was 241,300 units, of which 208,400 (86.4 percent) were commercial vehicles. In 1985 Cuba had thirty-eight motor vehicles per 1,000 population, a rate much lower than for developed countries (United States, 717; Canada, 567; Australia, 532; Germany, 451) and also for the more highly developed Latin American countries (Argentina, 175; Brazil, 88; Chile, 73; Mexico, 94; Uruguay, 117; Venezuela, 117). Land transportation has been severely affected by the economic crisis. Lack of spare parts for the bus and truck fleet has reduced significantly the number of vehicles in operation. (Hungary and the former Soviet Union scrapped production of some of these vehicles and spare parts.) Moreover, fuel shortages have forced cutbacks in the number of routes and their frequency. Transportation bottlenecks have affected labor productivity because workers are unable to get to their jobs on time or have to spend an inordinately long period of time in reporting to their jobs. Railroad transportation has been neglected since 1959 in favor of truck transport, despite being much more energy efficient than truck transport, particularly in transporting sugarcane. Cuba's poorly maintained railroad system consists of one main axis running the length of the island, connecting all of the major urban centers, economic zones, and ports, either directly or through branches. A bit more than one-third of the railroads carry both passengers and freight, with the rest dedicated to the transport of sugarcane. A major reconstruction of the central railroad line began in the late 1970s; equipment was updated with diesel locomotives manufactured in the Soviet Union and Czechoslovakia. Railroad transportation has also been affected by shortages of fuel and spare parts during the Special Period; the four daily trips from Havana to Santiago de Cuba have been reduced to one a day, and frequent equipment breakdowns have made the system largely unreliable. Cuba has eleven main ports capable of handling general export and import cargoes. The most important of these are Antilla, Cienfuegos, Havana, Mariel, Matanzas, Nuevitas, and Santiago de Cuba (see Principal Geographic Features, ch. 2). 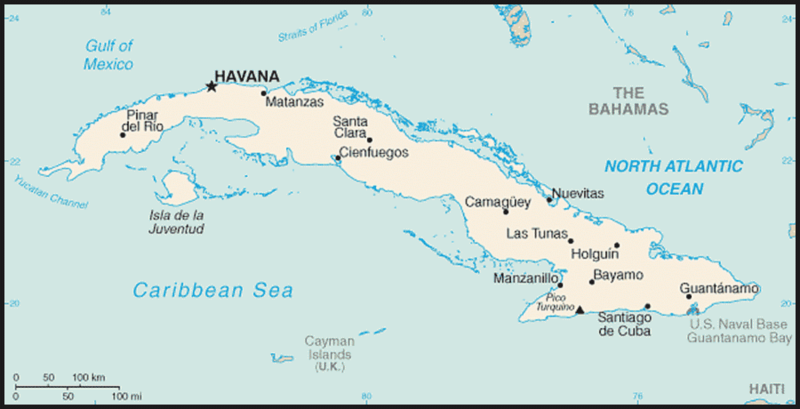 The major deep-water ports are the bays of Cienfuegos, Havana is by far the most important port. In addition, Cuba has eight bulk sugar loading terminals, one supertanker terminal at Matanzas, and several other smaller import facilities, as well as specialized port facilities for the fishing fleet. Number one in sugar export, the port of Cienfuegos is capable of handling one-third of Cuba's sugar production through its bulk sugar terminal. Its pier for handling oil and oil byproducts allows the berthing of ships up to 50,000 tons. In part because of the fast-growing tourism industry, Cuba has made considerable investments in upgrading and expanding its airport infrastructure. Ten of the seventeen civilian airports can now handle international flights, and nine of them are linked to the nine largest tourist resorts. Of Cuba's 170 airports in 1999, seventy-seven were paved and ninety-three unpaved. Cuba's main international airports include Camaguey, Ciego de Avila, Cienfuegos, Havana, Matanzas, Santiago de Cuba, and Varadero. In May 1997, Cuba began a US$70 million, seven-month modernization project at its two most important airports, those in Havana and Varadero, as a result of an agreement between the Cuban Airport Services Enterprise (Empresa Cubana de Aeropuertos S.A.-ECASA) and the British company, Airport Planning Development (APD). Inaugurated in mid-1998, the Jose Marti International Airport's new terminal expands the Havana airport's capacity to 3 million people per year. The main national airports that handle primarily domestic flights include Baracoa, Bayamo, Cayo Largo, Guantanamo, Holguin, Manzanillo, Moa, Nicaro, Nueva Gerona, and Santa Clara. The Consolidated Cuban Aviation Company (Empresa Consolidada Cubana de Aviacion Cubana), Cuba's flag carrier, moves 45 percent of international tourism into Cuba and manages all seventeen civilian airports. Cuba's telecommunications infrastructure improved in the late 1990s as a result of government efforts to increase the availability of telephones throughout the island and the participation of foreign investors. Telephone density remains low by global standards, approximately between 4.5 and 5.5 telephones per 100 inhabitants, and is below the telephone density of neighboring Caribbean countries. Approximately 45 percent of Cuba's telephone lines serve residents within Havana's metropolitan area. The island's national infrastructure supports national and international telecommunications services utilizing wired and wireless facilities. The majority of the infrastructure dates to the period before the 1959 revolution and uses technology that has surpassed its life cycle multiple times. Newer facilities were installed during the 1990s with the assistance of foreign telecommunications services partners. Cuba's first private investment participation in the telecommunications industry began in 1991, when a joint venture was formed between Empresa de Telecomunicaciones de Cuba, S.A. (ETECSA), the state-owned telecommunications company, and Telefonos Internacionales de Mexico, S.A. (TIMSA), creating Telefonos Celulares de Cuba, S.A, (Cubacel). Cubacel became a provider of cellular telephone service within the city of Havana and the tourist corridor connecting Havana and Varadero. In 1998 a Canadian company, Sherritt International Corporation, acquired 37 percent of Cubacel for US$38.2 million. This acquisition gave Sherritt twenty-year rights for the 800 Megahertz (MHz) bands for provisioning of analog and digital telecommunications services. The target industry sectors are tourism, diplomatic corps, joint ventures, and government; most of the current 5,500 to 7,000 subscribers come from these sectors. A second wireless cellular system is planned. In June 1994, Cuba announced a joint venture between ETECSA and Crupo Domos Internacional, a holding group based in Monterey, Mexico, wherein Crupo Domos would own 49 percent of the island's telephone infrastructure. Planned investments of approximately US$700 million by Crupo Domos in the development and upgrade of the telephone infrastructure ran aground because of the group's financial difficulties associated with Mexico's economic recession of 1995. Domos subsequently sold its participation in the joint venture to Italy's largest telecommunications concern, STET International Netherlands N.v. In 1997 the United States approved a private agreement between STET and the International Telephone and Telegraph (ITT) company, the owner of Cuba's telephone system prior to the revolution, wherein STET agreed to pay approximately US$25 million to ITT for the right to use its telephone system and avoid sanctions under the Helms-Burton Act. Estimates of required investment for upgrading Cuba's national infrastructure range from US$900 million for the national telephone infrastructure to approximately US$2.5 billion for upgrading the full complement of voice, data, and video communications infrastructure. These estimates support a plan to increase the national telephone density from its present levels to approximately eleven per 100 inhabitants, while increasing the density to fifteen per 100 inhabitants in the city of Havana. To attain a density of nine per 100 by the year 2004 would require the installation of approximately 100,000 telephones per year. New telephone line installation has been programmed at approximately 70,000 per year, with an increased emphasis on the installation of public telephones throughout the island. 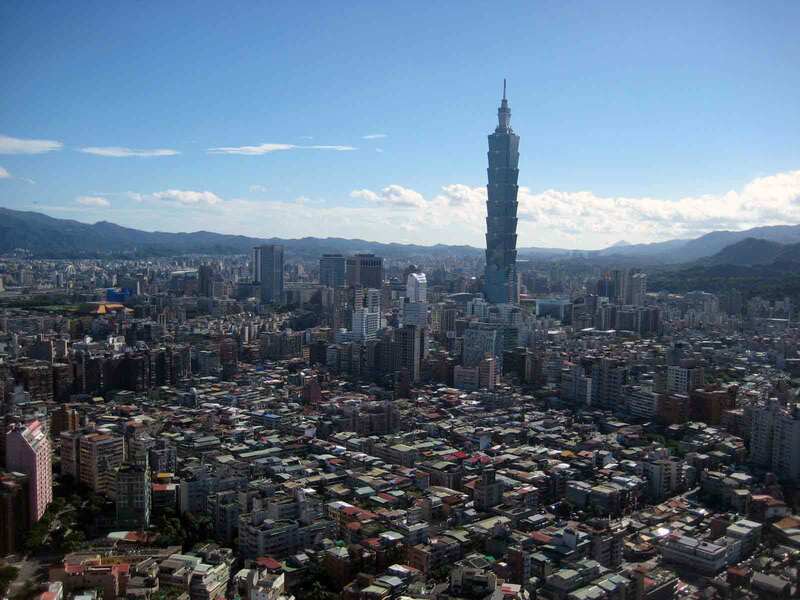 An additional 8,000 coin-and card operated public telephones (CCOPT) were planned for installation during 2000, with a planned deployment of an additional 52,000 public telephones by the year 2004. The bulk of the conversion to digital facilities by 2000 occurred within the city of Havana consistent with the plan to increase telephone density in areas that promise a higher return on investment. As part of the infrastructure improvement effort, approximately 11,200 lines were assigned for award by municipal governments to residential users. Future development and deployment of Cuba's telecommunications infrastructure will be limited by per capita disposable income. The latter is a primary factor that has slowed the deployment of telephone service into the population mainstream. CCOPTs have served to fill this economic void. United States foreign policy is having and will have an impact on the development and growth rate of Cuba's telecommunications infrastructure because foreign investors have been careful not to violate United States law. Cuba receives hard-currency revenue from its international long-distance services. Approximately 70 percent of Cuba's international calls are made to or from the United States, connecting the island to the large Cuban-American community living in the United States. Annual revenue from United State scuba long-distance services ranges from US$50 million to US$70 million for Cuba and approximately US$60 million to US$80 million for United States-based carriers that provide such service. Cuba's government has realized the importance of the development of a telecommunications infrastructure in support of its economic development efforts and has prioritized the development of limited high bandwidth facilities, including Internet access for the diplomatic corps, joint ventures, and the government, education, tourism and financial sectors. Although limited, this development has allowed sectors such as banking to provide and support basic services such as automatic teller machines (ATMs). Chinese interests have created an additional force within the telecommunications industry, including the manufacture of telecommunications hardware for internal use and export. Cuba's telecommunications system naturally also includes television and radio. In 1997 Cuba had fifty-eight television broadcast stations and 2.64 million televisions. Cuban radio became a more dynamic mass medium in the late 1990s. The number of radio broadcast stations in 1998 totaled 169 AM, fifty-five FM, and one shortwave. The country had 3.9 million radios in 1997. After shunning international tourism in the 1960s on the grounds that it represented foreign exploitation and behavior that was inconsistent with a socialist society, Cuba created the National Institute of Tourism (Instituto Nacional de TurismoIntur) in the mid-1970s and began to encourage international tourism. In the 1980s, international tourism was recognized as a potentially important source of revenue for the island, but it became apparent that after more than two decades of neglect, the tourism infrastructure had deteriorated to the point that Cuba was incapable of competing with other tourist destinations. Cuba created two semiautonomous corporations-Cubanacan in 1987 and Grupo Gaviota in 1989-to enlist foreign participation in the international tourism industry. The emphasis has been on building a physical infrastructure for the industry and improving the quality of services so as to be able to compete in the international tourism market. Tourism is the sector of the economy that first began to attract foreign investment, with the first joint venture established in 1988. Particularly active in joint venturing in the tourism industry have been investors from Canada, Germany, Mexico, the Netherlands, and Spain. In many instances, the joint ventures are actually closer to management contracts: the foreign partner assumes management of a tourism facility, obtaining a flow of tourists from its home market, and ensuring that the quality of the tourism services meets international standards. The Cuban tourism industry has thrived in the 1990s. This growth is reflected in the increasing capacity to accommodate tourists; the stock of hotel rooms increased from about 32,000 in 1991 to about 41,000 in 1997 (see table 10, Appendix). Meanwhile, the stock of hotel rooms suitable for international tourism more than doubled between 1990 and 1996, from 12,900 to 26,900 rooms, evidence that new construction is aimed at the international tourism market and that some of the stock of hotel rooms have been upgraded to meet higher international standards. The number of foreign visitors nearly tripled, going from 340,000 in 1990 to nearly 1.2 million in 1997. Gross revenue from international tourism in 1997 has been estimated at 1,543 million pesos. About a third is estimated to be net revenue. With regard to efficiency indicators, the occupancy rate of hotel rooms overall was nearly 70 percent in 1991; it fell to about 60 percent in subsequent years. For hotel rooms suitable for international tourism, the occupancy rate increased from about 40 percent in the early 1990s to more than 50 percent in 1995-96. However, the average length of stay of foreign visitors declined from 8.7 days in 1990-91 to 7.3 days in 1996. Income per visitor per day increased steadily over the 199096 period, from US$82.50 in 1990 to US$187.80 in 1996. According to an industry expert, Cuba continues to be regarded as an inexpensive "package" destination, reflecting the initial tourism strategy of quickly penetrating source markets by offering low, all-inclusive packages. Moreover, the ability to increase prices is hindered by the lack of quality of products and services in other associated industries: food and beverage operations, retail facilities, recreation and entertainment activities, and other tourism infrastructure.